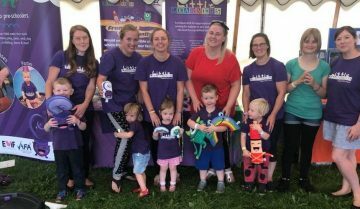 Would you like to run your own successful messy play franchise offering award-winning messy play classes, parties and events in your local area? Would you like a flexible job which fits around family life? 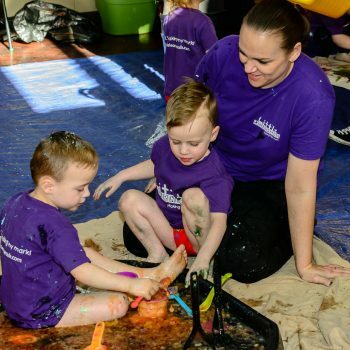 We want to let you know about a brilliant opportunity to join our amazing messy play franchise – with the potential to earn a significant income – available today through a Little Learners Franchise! We are currently looking for passionate individuals to join our growing team of franchisees. Own your own Little Learners Franchise from only £96 per month through a Government Start-Up Loan. 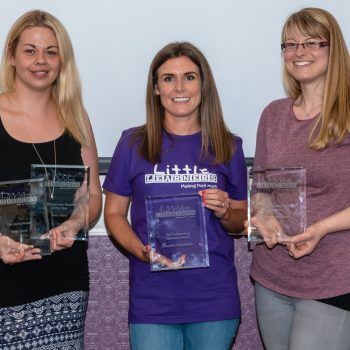 In 2017 we went on to win Business Growth of the Year in the Networking Mummies Awards, New Woman Franchisor in the EWIF Awards, Best Newcomer in the Top Franchise Awards and three of our franchisees were up for Franchisee of the Year in the workingmums awards! Little Learners is a unique and exciting mark making class devised by a qualified teacher. It is designed for babies, toddlers and pre-schoolers to learn to write through play. Its aim is to develop children’s pre-writing motor skills, as well as their physical development (taking full account of EYFS guidance). 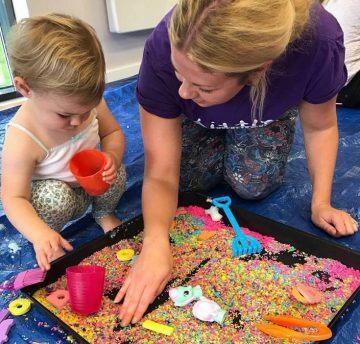 Physical development and mark making are vital skills to obtain in order for children to begin to grip objects, hold a pencil and eventually write. Little Learners classes help to prepare little ones for nursery and school by strengthening gross and fine motor skills, core strength and coordination. A simple pre-writing program is followed which involves learning four types of ‘mark’. These four marks appear in letters, numbers, shape & pattern. Children develop their mark making skills every session by learning and practicing the ‘mark of the week’. 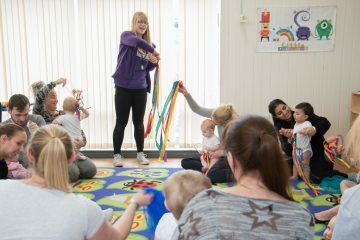 In addition to classes, you can also offer parents bespoke Little Learners parties and themed events. After 10 years as a nursery nurse I had returned to work after having my first child. Things weren’t working for me anymore and I wanted something that balanced out our time together a bit better. We had been attending Little Learners Classes for a year before I joined the team. It was great to still be able to support children learning and growing but in a different environment. I now have flexible working I can work around my family and I work as part of supportive team. The ever growing Little Learners Family work together supporting each other, answering each others questions, sharing ideas and encouraging each other! Rachel goes above and beyond for all of us she is amazing! 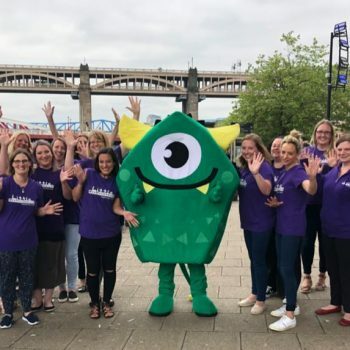 I’ve been a Little Learners Franchisee for just over a year now and can honestly say it’s been the best year of my working life! After 21 years of teaching I needed a change and a job that would give me more time with my family. Little Learners has given me this and so much more! I thoroughly enjoy working for myself, choosing my hours to fit around the school run etc. What I didn’t expect was to be part of such as amazing and supportive team who are there with you every step of the way! To say Little Learners has changed our lives, as a family, would be an understatement. I only wish I’d done it sooner! 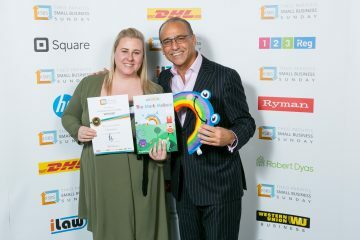 I am a year into my Little Learners franchise journey and it has completely changed my life. I now have my own little business which I LOVE and a job that fits around my family life for a change. My 4 year old comes to “work” with me although it never actually feels like work! Every day is different and it has opened up so many new doors and experiences to me. The network of franchisees is truly amazing and one of the main reasons I love it. I thought I’d be lonely being a sole trader but I talk to the other girls every day. Rachel is always on the other end of the phone and I’ve met so many gorgeous mums and families. You get out of it what you put into it and if you’re like me and determined to have a job which suits your life and your family, then it really is perfect. If you’re considering buying a franchise then please go to a class and see one of us in action! It will be love at first sight I guarantee it! Full training in all aspects of the business. 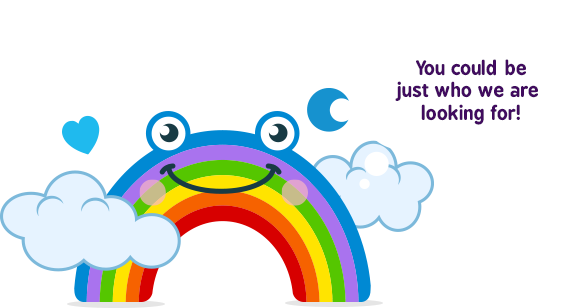 Ongoing support from head office and current Little Learners Franchisees – we are a close and supportive group! Is this made for you? Would you enjoy working with children and helping them learn and develop? 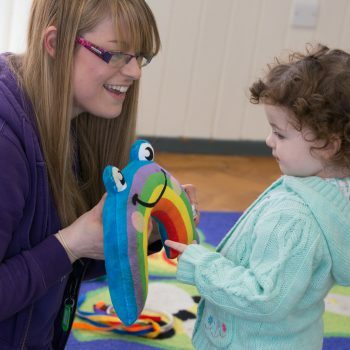 Are you passionate about early years education? If you can answer “Yes!” then you could be just who Little Learners are looking for! We will offer you training and support but most important is that we want to work with people who are committed to delivering excellence. Keen to run your own business and be your own boss? Sociable, friendly, self-motivated and enthusiastic? Fill in the form below to receive our franchise prospectus and for further information. Which location/postcode area are you interested in?